How about an outboard motor on a Vair? Not something I'm thinking of doing but I've seen a lot of talk lately about using something else to power the car, 4, 6, and 8 cylinders. How about the new outboard motors? 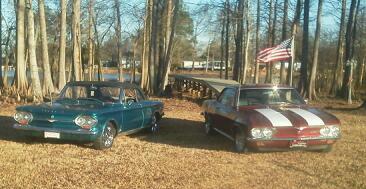 They are now fuel injected and four stroke, put out close to 400 hp in a package that will hang on the back of a boat. If you could figure out a way to make it run horizontal instead of vertical it would be impressive stuck in the back of your car. Re: How about an outboard motor on a Vair? Don't most outboards circulate water to keep cool? The basic formula for estimating the new purchase price of a large outboard is $100 per horsepower. 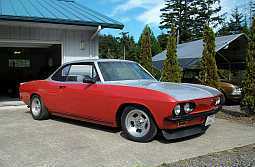 So a 300hp engine runs about $30k. I recall seeing a youtube of someone's car with an Evinrude engine; it sounded pretty radical! Craig N. Coeur d'Alene ID. That's a 2 stroke Rude 8 cylinder I think, if so they call that OZ when it came out, estimates were over 500 HP, factory wouldn't say, it was built for racing only. Hmmm Marine outboard in a vair. The problems I see are fabricating a functional cooling system and the fact that marine outboards cost nearly $100 per horsepower new so such an engine would likely cost a lot of cash, not to mention mounting issues etc. 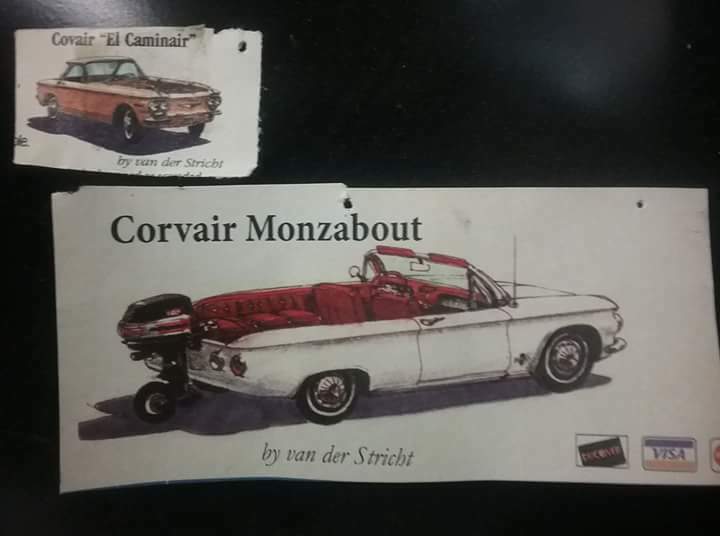 Avid Corvair hobbiest since 1984. 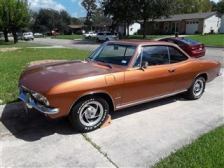 I have personally performed ground up restoration on over 20 Corvairs. 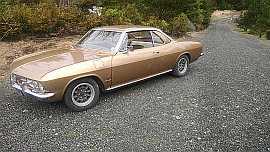 I currently work full time at restoring and repairing Corvairs. Located in the Atlanta Georgia area. Luv the sound of the eight Expansion chambers! I didn't know someone had actually done it. You can buy a running 250 HP outboard pretty cheap used especially if it's got a broken lower unit. I helped rebuild my first boat motor, my brother is one of the best outboard mechanics, he did it I helped, anyway I remember the rod has a hole that needs to be installed on the top, this is so the oil that separates from the fuel settles into the top of the rod then drains into the rod bearing giving it lubrication. This makes me wonder how these engines can live running laying on their side. 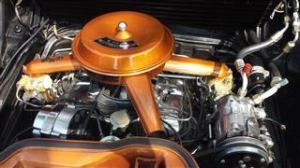 The engine that is in the Honda pick-up is basically the same V-6 that is used in their outboard motor .